Hello, lovelies~ Cleansing oil has been part of my routine for as long as I can remember. I think it was around 3 years ago, give or take. Nowadays, people are easing into using cleansing oils as part of their skincare routine, making me wonder as to why there are still a few number of cleansing oils in our drugstores and/or supermarkets. 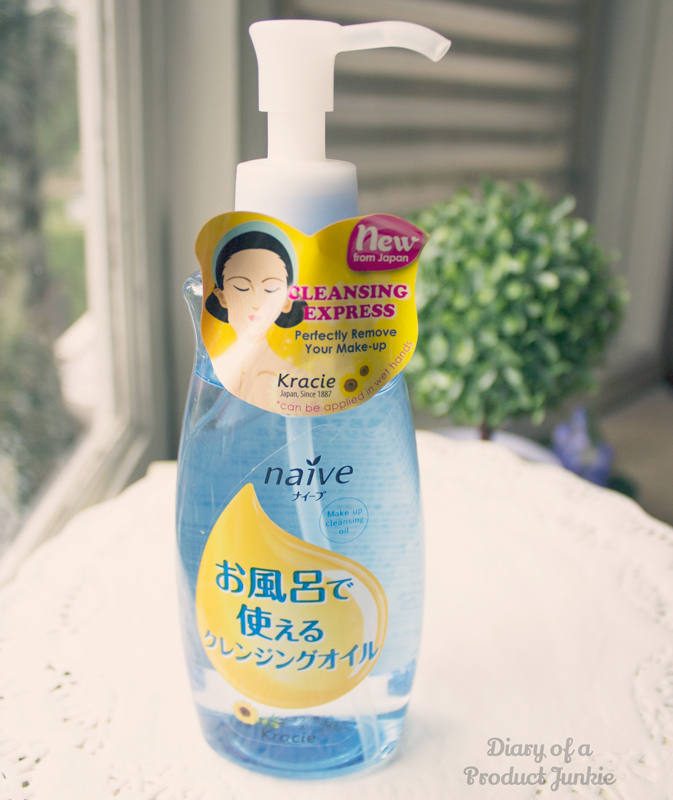 Kracie is one of the Japanese brands that arrived in our drugstore for quite some time. However, the cleansing oil wasn't there first time alongside their sheet face masks. So, now that they're here, I'm trying it out! 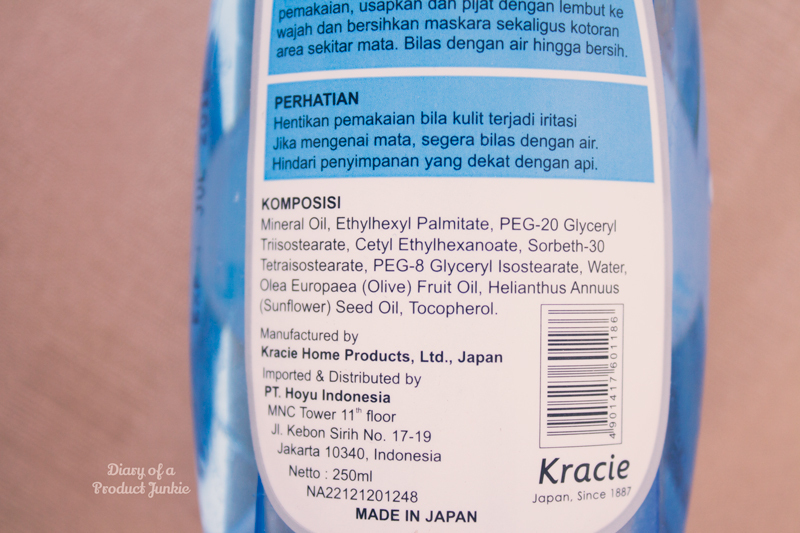 I bought mine at Guardian for around Rp 104,000-ish and went home with a blue bottle of Kracie cleansing oil. It has a pump as a mean of dispensing the product, so the measurement will always be the same each time I use it. Here are the list of ingredients, just in case there are any ingredient that you're sensitive to. Mineral oil has always been a hit or miss for me, depending on the function of the product. So far, it hasn't caused any break outs on me, thankfully. There isn't any fragrance and colorants, so it's safe for people with sensitive skin. Pay no attention to my chubby hands as they're purpose is to show you the consistency of this cleansing oil. Clear or transparent, this cleansing oil can easily be mistaken for cooking oil because it has the exact consistency as one. So, keep this away from the kitchen at all times. 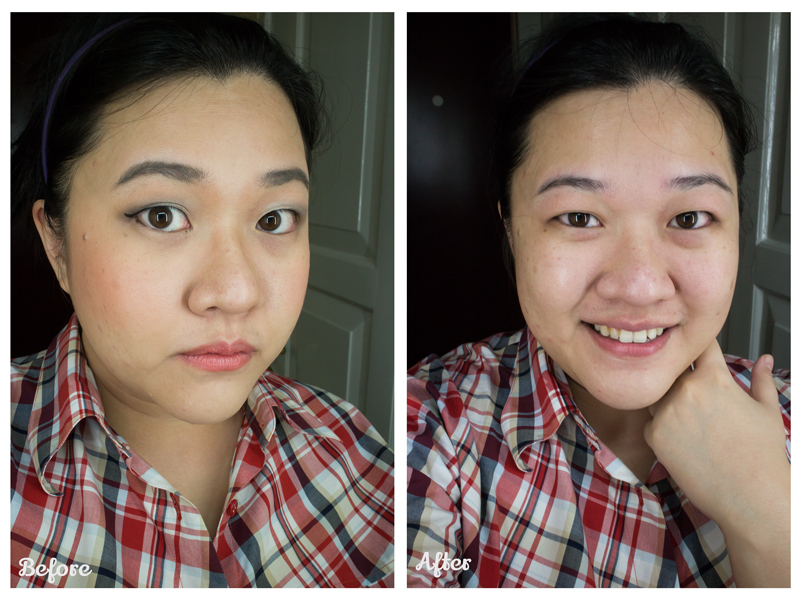 As for the cleansing power, I can assure you that it takes off makeup in a jiffy, without any difficulties. All I did was spread two pumps of cleansing oil on my dry face and massage it lightly. It removes nearly all of my makeup such as foundation, powder, blush, eyeshadow, eyeliner, etc. 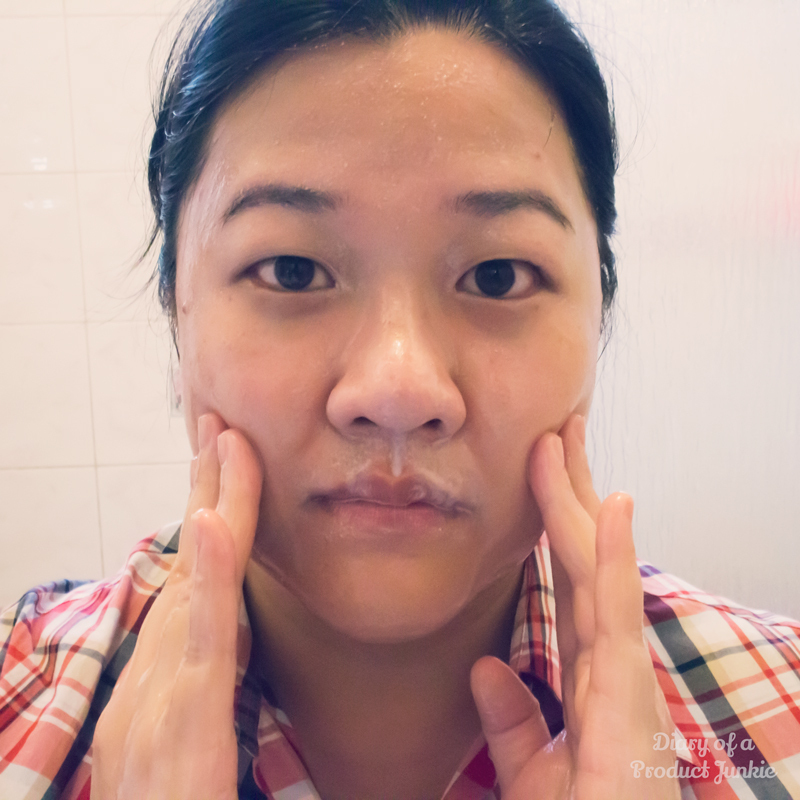 After around 30 seconds, I wet my hands to continue massaging and cleansing my face. Notice the water turning white? No, it's not mould or milk, lol. That's the emulsification process when the product gets in contact with water. - it doesn't sting my eyes. Aku blm pernah nyobain Biore punya, tapi kalo sejauh ini sih pengalamanku pake Biore jerawatan, hahaha..
Dibandingin sama kose speedy cleansing oil bagus mana ce? :D kayaknya mirip mirip ya? Kalo pake sunscreen, ada bagusnya double cleansing sih biar bener2 bersih. Soalnya si bahan sunscreen suka bandel buat diremove.